Is It Healthy For Teenagers to Become Vegetarians? I never understood why some people didn’t eat meat. OK - Sure - Some types of meat can cause certain health issues, but the biggest question that I have about vegetarian diets is how people survive without meat and the other ways that vegetarians manage to secure a stable source of healthy proteins. Personally, I considered becoming a vegetarian after I consulted my doctor about controlling my diabetes, where my goal was to find a diet regimen to go along with my regular exercise routine in order to control my blood-sugar. However, after thinking about it, I quickly changed my mind after deciding that I loved meat too much - I just couldn’t see myself completely giving up meat and spending more money just to change my eating habits. By far I would rather continue to eat what I want by learning how to control my portion size, but don’t steer away from becoming a vegetarian just because of my own choices. I think it is great that some people can create tasty dishes, especially Indian food. Despite different opinions about the health of this diet, more and more teenagers are voluntarily becoming vegetarians. For some reason this is a new phenomenon, because teenagers are becoming more socially and ecologically contentious. 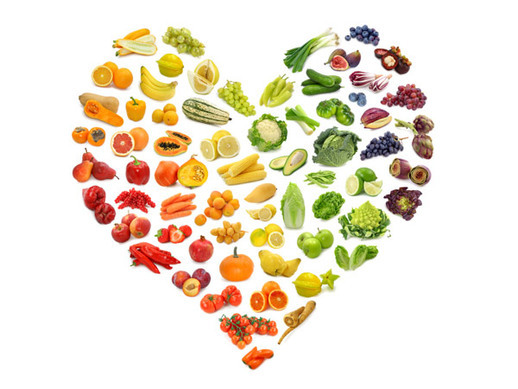 What is a vegetarian diet? A vegetarian diet requires the total removal of meat, but they may include animal protein sources such has eggs, fish, and other seafood. Vegans on the other hand, do not eat any meat OR animal products. One reason that people are becoming vegetarians is because of the financial savings that they see at the supermarket, but the lower cost in grocery bills is not the reason why teenagers become vegetarians. Katie Ransohoff, writes in her article, Vegetarianism in Teens, that most teens become vegetarians because of animal rights concerns, religious or cultural beliefs, diet and health concerns, etc (2015). Regardless of the reason that a teenager chooses to becomes a vegetarian, teenagers should be aware of the dangers of a vegetarian diet. Teenagers who decide to be a vegetarian should talk to their parents. Secondly, the parents should be take their child to a doctor, and talk to the doctor about the benefits and non benefits of a vegetarian diet. A vegetarian diet can reduce future health risk such as obesity and high blood pressure, but it is the parent's responsibility to determine whether or not a vegetarian diet is truly best for your child or if it will cause problems. Certain health conditions can hinder a person from participating in a vegetarian diet, and this can be exacerbated if one does not consume enough essential vitamins and minerals that are found in meat. Teenagers and children are especially vulnerable to vitamin and mineral deficiencies, because they are constantly undergoing a period of massive growth in all major physical systems. Vegetarians lack the following the nutrients if they don’t find other ways to consume them: protein, iron, calcium, Vitamin B12, and Vitamin D. Protein and iron keeps your muscles strong and the formation of red blood cells, respectively, and calcium helps your bones and teeth. B12 decreases the chances of anemia, which is the condition in which the body does not have enough healthy red blood cells, which provide oxygen to body tissue (2015). B12 is found in meat such as fish and beef, so you need to find alternative sources in order to supplement your vegetarian diet. Vitamin D helps the body consume calcium (2015). Can you believe it? Standing the sun and generate Vitamin D. Yes, it OK for teenagers to become vegetarians. However, parents should consult a nutritionist in order to find proper sources of certain vitamins. It is okay to be different and a vegetarian. But be careful to not deprive your body of proper nutrients and exercise on a regular basis. Go To Mayo Clinic for a great fact-sheet on how vegetarians can best suppliment their nutritional needs. Krichheimer, Sid (18 June 2003). Vegetarian Diet and B12 Deficiency. Retrieved March 2, 2015. MedlinePlus. Anemia of Chronic Disease. Retrieved March 2, 2015. Sutter Health Palo Alto Medical Foundation. Vegetarianism in Teens. Retrieved March 2, 2015.